The first photos of the highly-elusive snow leopard have been captured at four different locations in northern Sikkim, according to a statement released by WWF-India recently. 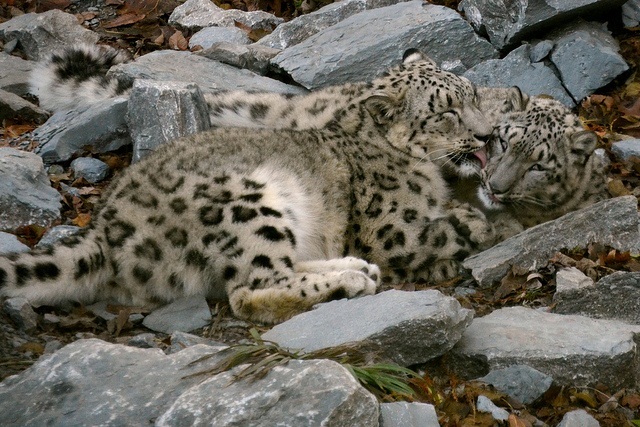 It is a pilot project by WWF-India to set up camera traps in the North Sikkim Plateau to understand the presence of snow leopards in the region after interactions with local yak herders (dokpas). They had given information about the presence of the animal in the area. In addition to snow leopards, camera traps have also captured the rare Pallas cat, blue sheep and the Tibetan argali. It has also provided visual documentation on free-ranging dogs and the areas they move in. The exercise of setting up camera traps in Sikkim started in 2015 under the project, Conservation and Adaptation in Asia’s High Mountains. A part of a larger programme funded by USAID in six Asian snow leopard range countries, the project aims at developing climate-smart snow leopard conservation plans. The camera trap study will be implemented across the entire potential distribution range in Sikkim in multiple phases.